In Japanese food culture both taste and how the dish is presented play a very important role. It is a part of Omotenashi (hospitality) philosophy, of which the best example is sushi. In Japan the art of making sushi has been professionalized for hundreds of years. A flawless sushi is an aesthetic play of colours, shapes and textures to satisfy our eyes, touch and taste. 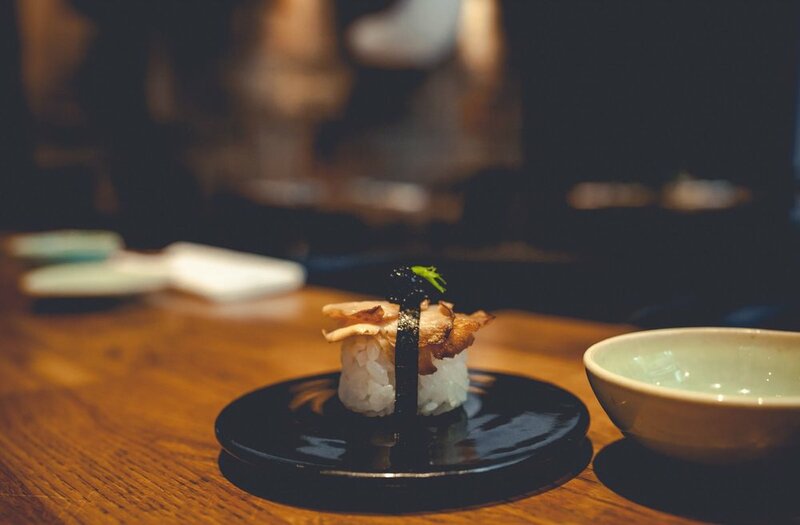 A vegan sushi restaurant Youmiko, placed in Warsaw, Poland, has mastered this art to the perfection. The sushi master, Przybyszewska Marysia, composes the sushi in a way that used vegetables remind us of jewelry. This resemblance is very interesting and metamorphic as both vegetables and jewelry beautify us. Vegetables from the inside constitute to a healthy glowing skin and strong shiny hair; and jewelry is a nuance that make our #ootd. Furthermore, looking good makes us feel more confident and gives the feeling of conquering the world is not impossible. So how it happened that a sushi restaurant, in a bit far country as Poland is, mastered the sushi making and moreover went a step forward to make the sushi vegan? We asked sushi master Przybyszewska Marysia and Youmiko brand owner Gnatowski Pawel. 1. What is the origin of the restaurant’s name “Youmiko Vegan Sushi” (ヨウミコ　スシ)? Actually, I have acquired Youmiko Vegan Sushi few years ago. Back then it was just a simple sushi bar. I have decided not to change the name as for me it was more important to focus on transforming the bar it into a high quality vegan sushi restaurant. Frankly, it worked out very well; We do not serve traditional sushi but create a vegan one, the same is with the name, we added one additional “o” to traditional Yumiko spelling, making it one of the kind just as our sushi. 2. What have inspired you to make Youmiko Vegan Sushi brand vegan? First, Japanese sushi philosophy takes it a priori to use local products. In Poland it is very difficult to find sushi with appropriate fish at local markets. Most of the fish found here live in lakes or rivers which makes their flavour a bit sludgy, hence it is not good for our sushi. So I have decided to try to fill in the blanks with local vegetables. The second reason is that about 3 years ago I have converted into plant based diet, therefore it was only natural to want to spread this philosophy and a way of living. 3. For who have you opened your restaurant? I did not really have in mind only one particular type of a customer, like vegan or not. All I wanted, was to establish a restaurant that serves high quality food and that agrees with my lifestyle beliefs, so plant based diet. Now we have more and more non-vegan customers coming as they are curious of vegan sushi. Truth be told, none has ever complained, they all are very satisfied with our sushi. 4. How do you imagine Youmiko Vegan Sushi’s role in dining culture? I think, my biggest wish is to convince people that plant based diet does not only mean raw salad. I would like to show that vegan cuisine is even richer in taste and variations than any other diet. Moreover, dishes can be served in a very aesthetic way just as in Michelin stars restaurants. So I hope Youmiko Sushi is in a good way towards that goal. 5. 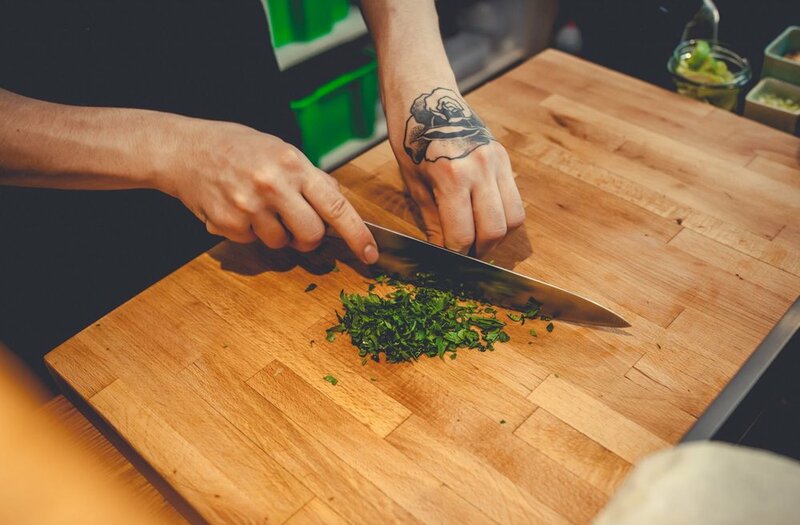 What is your perception of veganism now and how it was before opening the restaurant? I had been a vegetarian for many years already and since half a year ago I have decided to go vegan. For me, this type of cooking was always an exciting journey full of new tastes and unlimited possibilities. But what I have learned while working at Youmiko Vegan Sushi is that many people consider vegetarian/ vegan cuisine as plain and lacking in variations. Even though, Warsaw is on the 3rd place of the top Vegan European Capitals, many people are sceptic about vegan diet. 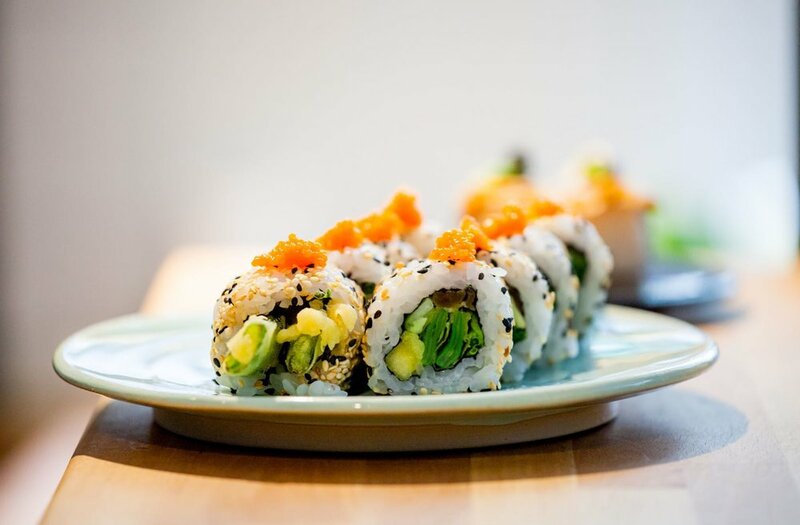 Fortunately, after trying our sushi their opinions change and they become more excited about the plant based diet, as they notice that it can be so delicious. 6. What inspires you to create new sushi variations? Nature is my ultimate inspiration. Whenever I get my eyes on a new plant, vegetable fruit or mushroom, I start imagining how can I use it: cut it, shred it, cook it, fry it, marinate it. Also seasons guide me. I always use fresh ingredients, hence in some way my sushi depends on what is available in a given season. Now, I am very excited about Autumn coming and all the roots that Autumn provides. Furthermore, I search for traditional Japanese sushi, as some of them are small pieces of art, and when I fell in love with some arrangement, then I try to think which vegetable or fruit can be used to achieve the same presentation and colours palette. 7. What is your favourite vegetable and why? Sometimes, they come seasonally. But in general, I love tomatoes. They are available in many colours and shades. This fruit can be prepared in so many inspiring ways. At this moment, I am very proud of my sake marinated tomato sushi, that looks like the best tuna nigiri. The parts of tomato, that are left after cutting it for a nigiri, are used to make a spicy tatar with togarashi (or shichimi, which is used in Japan) and Sriracha souse. It is later used for maki or gunkan. I am very happy that all the parts of the tomato can be used, as additionally I prefer minimal waste cooking. I also like corn, because of its shape. And I am getting more and more persuaded towards paprika, however it has very intensive taste and smell, so not very applicable for sushi. 8. Why using seasonal ingredients is important? I believe that nature knows how to supply all the necessary nutrients for us in each season, therefore we should listen to it and use the ingredients it provides at a given time. Using seasonal vegetables and fruits helps sustain our body rhythm and harmony, I think. It is also important to try to use local suppliers. For me, it is crucial. Getting food locally prevents unnecessary use of preservatives and other chemicals that help food survive the transport and stay fresh longer. I know all my suppliers and I am sure of what I consume. 9. What is your cooking philosophy? For me the most important is to prepare the food in a way that causes uncontrolled and euphoric smiles on people’s faces. Then I am very satisfied, as I am sure that they love it. And it motivates me to try new things and to keep developing.